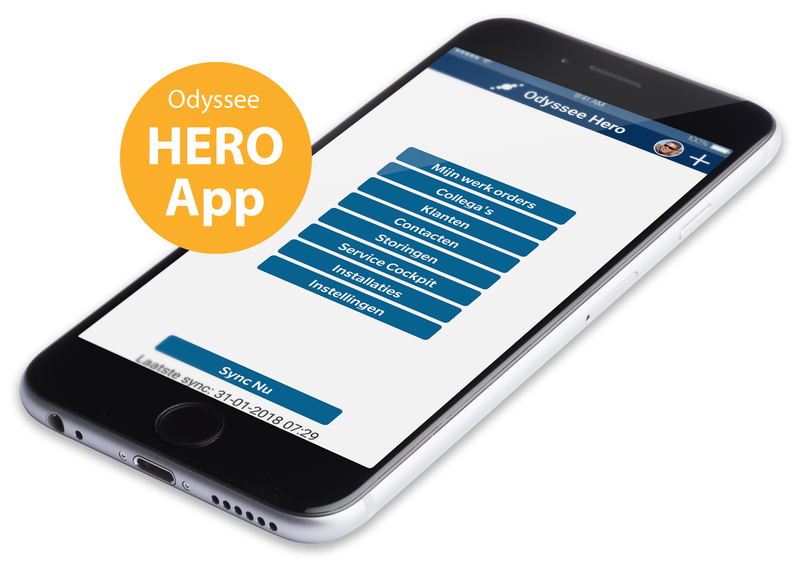 The Hero App just got released which is one of the steps we are taking this year towards a completely renewed and better Odyssee Field Service Software. We are focusing on improving the technology behind the software as well as the design of the user interface which is now more intuitive, cleaner and simply more pleasurable to work with. These changes are applied to the portal, which is already largely renewed, and to a whole new bunch of applications that make work easier and information faster accessible for technicians. Also we will have a big milestone ahead of us in August with releasing our first artifical intelligent module: The SmartScheduler. Big steps for our product that we want to proudly present to you in this article. Why do we replace the old Mobile App? We are always eager to improve. That’s why we reworked our Mobile App completely and brought it into a new more intuitive design. The new Service App will have all the functionalities that are currently available to our customers but will have a better UI and be more user friendly. Our goal is to make sure that technicians can work fast and efficient with our App. That’s why we focus on removing obstacles and adapting our solution as much as possible to the actual work flow of technicians in the field. The current Mobile App was already great but with the new Service App we are providing an even more flexible and intuitive solution for Field Mobility that is accessible from all devices. Why did we develop the Hero App? Not always do technicians want to pull out their tablets or notebooks to check simple information on where to go next or what job to do. For such side tasks they need an easy tool which allows them to react fast. The smartphone is ideal for that. That’s why we developed a smartphone app that runs on all devices and supports technicians with everything they need to do besides completing work orders. This can be to check the location of a colleague via GPS, to contact a customer, to register an incident and tell the backoffice how to react on it, to navigate to a new job or to simply take a picture of an installation and add it directly to the workorder. The Hero App – even though the Service App would be pratically already enough – is therefore the perfect addition to the Service App to make work even more efficient. The SmartScheduler is our first AI module that helps you to achieve more efficiency and to save time through route optimization. 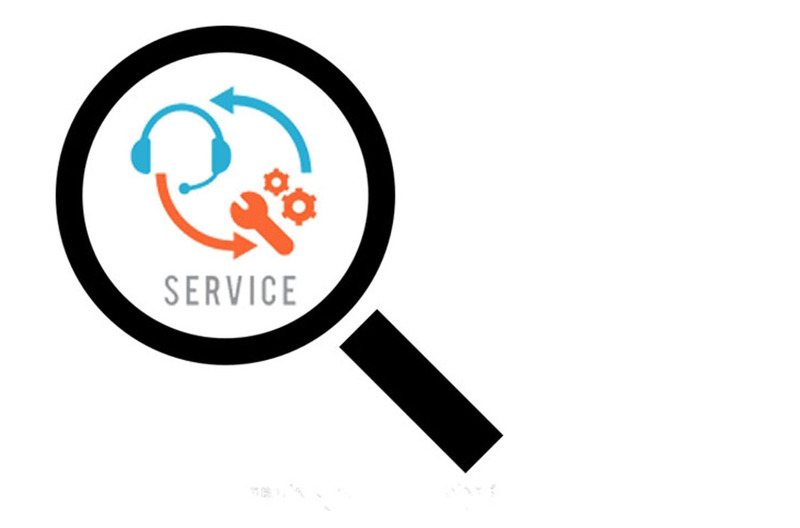 It plans recurrent jobs automatically and finds the best routes and best technicians to do the job. The SmartScheduler respects qualifications, availability, distance to locations and WO durations in order to get a fast and perfect result. The SmartScheduler will be released in summer 2018. 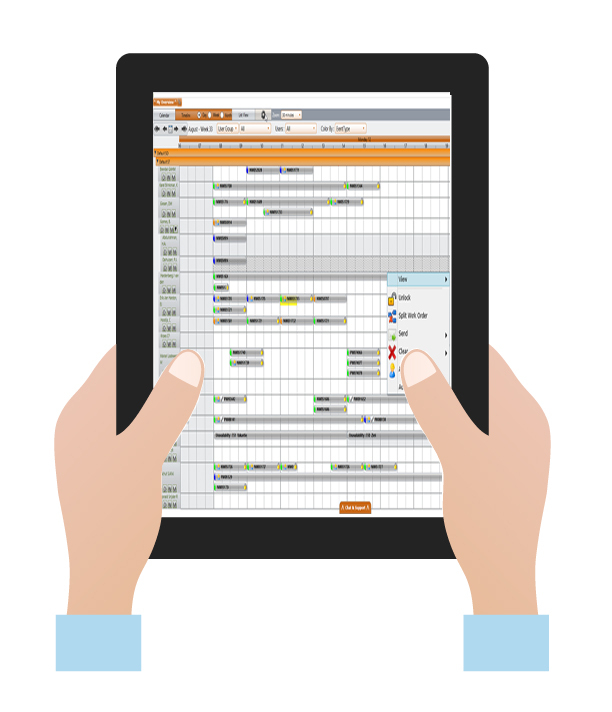 Are you already an Odyssee client and are interested to know how the SmartScheduler can help you with your processes? Please contact our sales team here.